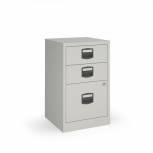 Jemini 2 Drawer Filing Cabinet Light Grey KF20042 Pack of 1 Metal Filing Cabinet. Flush front cabinet featuring, anti-tilt mechanism, 100% drawer extension providing full access at all times, smooth roller ball runners and fully lockable. 2-Drawer Cabinet. Colour - Grey. Non returnable. Bisley 2 Drawer A4 Home Filer Black PFA2-03 Pack of 1 Bisley Personal Filer - 2 Drawer. Metal construction, designed for A4 suspension filing. Size: W413xD400xH672mm. Colour - Black. Non returnable. Bisley 2 Drawer A4 Home Filer Grey/Red PFA2-8794 Pack of 1 Bisley Personal Filer - 2 Drawer. Metal construction, designed for A4 suspension filing. Size: W413xD400xH672mm. Colour - Grey with Red drawers. Non returnable. Bisley 10 Drawer A4 Cabinet Grey H2910NL-073 Pack of 1 Bisley Multidrawer Cabinet 10 Drawer Non Locking. For storing A4 documents. 51mm deep drawers. Dimensions: W279 x D380 x H590mm. Colour: Grey. Non returnable. 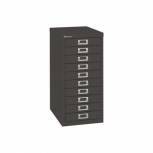 Bisley 10 Drawer Cabinet Black BY99639 Pack of 1 Bisley Multi-Drawer Cabinets offer functional and stylish solution for storage in your home or office. 10-Drawer Non Locking Unit. Dimensions: W279 x D380 x H590mm. Colour: Black. Bisley 3 Drawer A4 Filer Goose Grey PFA3-87 Pack of 1 Bisley Home Filer - 3 Drawer. Metal construction, designed for A4 suspension filing. Size: W413xD400xH672mm. Colour: Grey. Non returnable. Bisley 3 Drawer A4 Home Filer Grey/Red PFA3-8794 Pack of 1 Bisley Home Filer. Metal construction, designed for A4 suspension filing. Size: W413xD400xH672mm. Colour - Grey with red drawers. Non returnable. 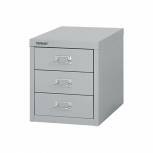 Bisley 3 Drawer A4 Cabinet Grey H123NL-073 Pack of 1 Bisley Multidrawer Cabinet 3 Drawer Non Locking. For storing A4 documents. 87mm deep drawers. Dimensions: W279 x D380 x H325mm. Colour: Grey. Non returnable. 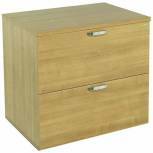 Jemini Beech 4 Drawer Filing Cabinet KF71958 Pack of 1 Jemini 4-Drawer Filing Cabinet. 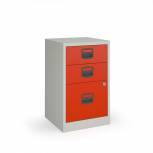 Lockable, anti-tilt cabinet with a loading capacity of 25kg per drawer. Suitable for standard foolscap suspension files. Dimensions - W465xD600xH1365mm. Finish - Beech. Non returnable. 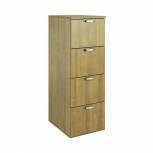 Jemini Oak 4 Drawer Filing Cabinet KF71959 Pack of 1 Jemini 4-Drawer Filing Cabinet. 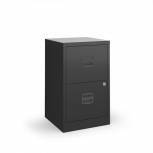 Lockable, anti-tilt cabinet with a loading capacity of 25kg per drawer. Suitable for standard foolscap suspension files. Dimensions - W465xD600xH1365mm. Finish - Oak. Non returnable. 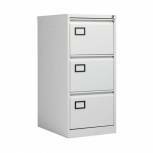 Jemini Maple 4 Drawer Filing Cabinet KF71960 Pack of 1 Jemini 4-Drawer Filing Cabinet. 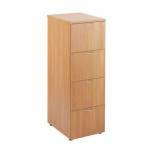 Lockable, anti-tilt cabinet with a loading capacity of 25kg per drawer. Suitable for standard foolscap suspension files. Dimensions - W646xD600xH1365mm. Finish - Maple. Non returnable. 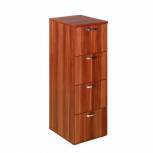 Avior Cherry 4 Drawer Filing Cabinet KF72322 Pack of 1 Avior 4-Drawer Filing Cabinet. Lockable, anti-tilt cabinet with a loading capacity of 25kg per drawer. Suitable for standard foolscap suspension files. Dimensions - W464xD600xH1365mm. Finish - Cherry. Non returnable. 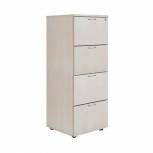 Avior Ash 4 Drawer Filing Cabinet KF72323 Pack of 1 Avior 4-Drawer Filing Cabinet. 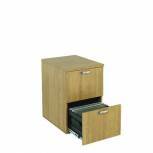 Lockable, anti-tilt cabinet with a loading capacity of 25kg per drawer. Suitable for standard foolscap suspension files. Dimensions - W464xD600xH1365mm. Finish - Natural. Non returnable. 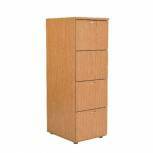 Avior Cherry 2 Drawer Filing Cabinet KF72324 Pack of 1 Avior 2-Drawer Filing Cabinet. 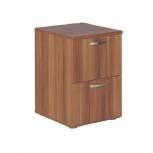 Lockable, anti-tilt cabinet with a loading capacity of 25kg per drawer. Suitable for standard foolscap suspension files. Dimensions - W464xD600xH710mm. Finish - Cherry. Non returnable. 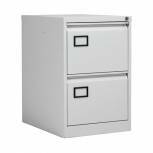 Avior Ash 2 Drawer Filing Cabinet KF72325 Pack of 1 Avior 2-Drawer Filing Cabinet. 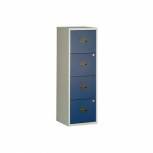 Lockable, anti-tilt cabinet with a loading capacity of 25kg per drawer. Suitable for standard foolscap suspension files. Dimensions - W464xD600xH710mm. Finish - Ash. Non returnable. 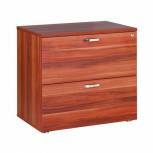 Avior Cherry 2 Drawer Side Filer KF72326 Pack of 1 Avior 2-Drawer Desk High Side Filer. Offers increased storage space and increased work surface. Can be used against 600mm or 800mm desk ends. Dimensions - W800xD600xH730mm. Finish - Cherry. Non returnable. 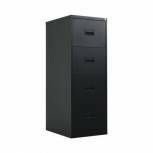 Avior Ash 2 Drawer Side Filer KF72327 Pack of 1 Avior 2-Drawer Desk High Side Filer. Offers increased storage space and increased work surface. Can be used against 600mm or 800mm desk ends. Dimensions - W800xD600xH730mm. Finish - Natural. Non returnable.